A new study by a team of researchers from Rice University’s Baker Institute for Public Policy and the University of Texas MD Anderson Cancer, both of Houston, finds that while complications from surgical care for cancer patients may seem infrequent, costs associated with such outcomes are extremely high, and outlines how such expenditures could be reduced. The report, entitled “The influence of complications on the costs of complex cancer surgery” (Cancer. 2013 Dec 30. doi: 10.1002/cncr.28527) were published online ahead of print in the Dec. 30 online edition of the journal Cancer. Its co-authors, Drs. Marah Short and Vivian Ho of Rice, and Dr. Thomas Aloia of M.D. Anderson, observe that cancer surgery and post-op outcomes vary widely, depending on interactions between patient, tumor, neoadjuvant therapy, and provider factors, but that within this complex milieu, the influence of complications on the cost of surgical oncology care remains largely undocumented. In the course of their research, Drs. Short, Alioa and Ho examined rates of Patient Safety Indicator (PSI) occurrence for 6 cancer operations and their association with costs of care. The consistently higher costs associated with cancer surgery PSIs indicate that substantial health care savings could be achieved by targeting these indicators for quality improvement. For example, neoadjuvant therapy refers to administration of therapeutic agents prior to the main treatment, such as with hormone therapy preceding radical radiotherapy for prostate cancer that aims to reduce the size or extent of the cancer before using more invasive interventions, making surgical procedures easier and more likely to succeed, and reducing consequences of a more extensive treatment technique that would otherwise be required. The Baker Institute’s Health Policy Forum has been tracking implementation of the Obama government’s Affordable Care Act through published research, media and government resources. In the coming months, the Institute hopes to launch a detailed study of medical insurance coverage in Texas. Additionally, with funding from the National Cancer Institute, they are completing manuscripts for a study of the cost-drivers of complex cancer surgery. Other projects include an analysis of regional variations of cancer treatment in Texas, a study of the effect of smoking bans on hospitalization rates, and a study of whether shared savings programs for physicians can reduce overall patient health care expenditures. In cancer treatment, unlike many benign conditions, there tends to be a higher threshold of tolerance for complications, the report’s co-authors observe. In addition, the direct cause of complications is more difficult to determine as there are complex interactions between patient, tumor, multimodality therapy and provider factors that contribute to adverse outcomes. 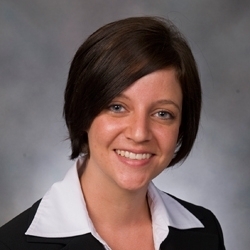 Dr. Short co-authored the Cancer journal article with Vivian Ho, the chair in health economics at the Baker Institute and a professor in the Department of Economics at Rice University, a professor of medicine at Houston’s Baylor College of Medicine, and Thomas Aloia, an associate professor in the MD Anderson Cancer Center’s Department of Surgical Oncology. The co-authors’ findings come against a backdrop of rising cancer care costs in the United States, which were estimated at $124.6 billion in 2010 and could rise by 66 percent to $207 billion by 2020. 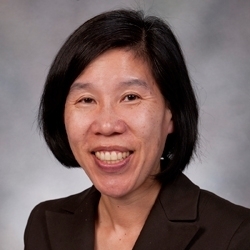 Vivian Ho, Ph.D., is the James A. Baker III Institute Chair in Health Economics, and a professor in the Department of Medicine at Baylor College of Medicine. Dr. Ho’s research examines the effects of economic incentives and regulations on the quality and costs of health care, is widely published in economics, medical and health services research journals, and has been funded by the National Institutes of Health (NIH), the Agency for Healthcare Research and Quality, and the American Cancer Society. Dr. Ho has also served on the Board of Scientific Counselors for the National Center for Health Statistics, as well as on the NIH Health Services, Outcomes and Delivery study section. A founding board member of the American Society for Health Economists, Dr. Ho received her A.B. in economics from Harvard University, a graduate diploma in economics from The Australian National University and a Ph.D. in economics from Stanford University. Dr. Thomas Alioa is an Associate Professor in the Department of Surgical Oncology, Division of Surgery at MD Anderson, and an Assistant Professor of Surgery in The Houston Methodist Hospital Department of Surgery’s Center for Liver Disease and Transplantation. He is trained in Surgical Oncology and Liver Transplantation with a clinical and academic focus in Hepatobiliary Malignancy and Gastrointestinal Surgical Oncology, and in addition to his clinical activities, Dr. Alioa has a research interest in health economics and surgical quality improvement, particularly as they relate to the care of cancer patients. He has published over 35 manuscripts and is an ad hoc reviewer for multiple medical and surgical journals. He is a Fellow of the American College of Surgeons, and is a member of several surgical societies. In their Cancer report, Drs. Short, Ho, and Alioa used the Agency for Healthcare Research and Quality’s Patient Safety Indicators’ (PSIs) definitions to identify patient safety-related complications in Medicare claims data. PSIs are a set of transparent outcome measures that provide information on potential in-hospital complications and adverse events after surgeries, procedures and childbirth. They analyzed hospital and inpatient physician claims from all 50 U.S. states for the years 2005 through 2009 for six cancer resections: colectomy, rectal resection, pulmonary lobectomy, pneumonectomy, esophagectomy and pancreatic resection. They found overall PSI rates for complications arising from the six procedures ranged from a low of 0.01 percent for postoperative hip fracture to a high of 2.58 percent for respiratory failure. Rates of postoperative respiratory failure, death among inpatients with serious treatable complications, postoperative thromboembolism and accidental puncture/laceration were more than 1 percent for all six cancer operations. Several PSIs — including decubitus ulcer, postoperative thromboembolism and death among surgical inpatients with serious treatable complications — raised hospitalization costs by more than 20 percent for most types of cancer surgery. Postoperative respiratory failure resulted in a cost increase of more than 50 percent for all cancer resections.